Have you always longed for portraits of your beautiful child, but have always put it off? Fearful of how it would go on the day, that the photographer wouldn't be patient and that it would just end up a waste of everyone's time? 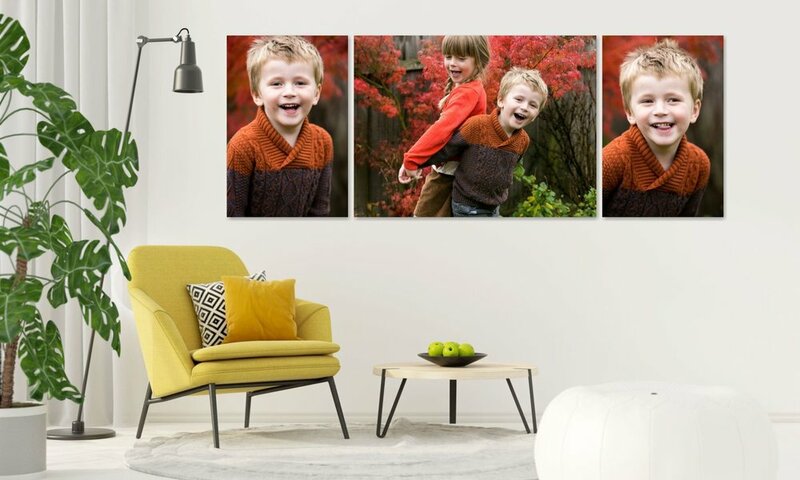 Do you wish you could finally own family photography of you all together, to proudly hang in your home? My son was diagnosed with Autism in the Summer of 2017. The road up until this point had been a stressful, eventful and somewhat confusing ride for our family. As we went back and forth to appointments, with lots of different specialists, we were certain that our beautiful, fun loving son was just being 'a bit lazy' with his speech and it was just a whole lot of over-reacting on the Health Visitor's part. Because, boys, as everyone repeatedly told us, are just later at developing than girls, right? It culminated with what seemed to be a casual appointment with our newly assigned Paediatrician, who after looking through his notes and observing my son at the appointment, turned to my wife and said 'Have you considered that your son may be Autistic?'. Somewhat floored and a little perplexed, we were sent upon our merry way with all but little knowledge on this word. As we waited for a a full assessment to be granted, no amount of googling, book reading or blog consuming on the subject could really give us the reassurance we were looking for. Instead, as we began to learn more, we started to realise that a lot of the key features of Autism were developing right in front of our eyes. In the everyday play of our beautiful son. By the time the assessment had been completed and we sat amongst the panel of specialists for our feedback session, we knew that he was autistic before they even opened their mouths. Since then, our lives have been made so much richer, to have the privilege of such a happy, beautiful, funny and loveable son. Some days we teach him stuff. Sometimes he teaches us things. Some days are a joy. Some days are a fraught firework display where you just don't know if you're coming or going. But we truly believe it is such an honour for him to take us by the hand and lead us through his eyes, as we embark on our adventure. Exploring the world together, albeit in a slightly different way to most. As a photographer, it was natural for me to want to document my own growing family. With our older daughter, this was something I'd done in abundance before my son came along, and to great effect. With days out, holidays, birthday parties and such all captured to happily look back on. With my son, on the other hand, it had been a little more tricky. If I would lift my camera or iphone to take his photo, he would often either run off, shout or in his own way, tell me where to go! And so as time passed, and days out, holidays and birthdays went by, it pained me that we were just not able to celebrate the amazing little guy that we all so very much loved. As I learnt more about Autism, as part of our own journey, I started to adapt the way in which I approached photos with him, with some of the skills I had picked up along the way. Letting him lead me. Investing time in engaging in the characters, toys and themes that I know he truly loved, and incorporating all of this in our time together. From then onwards, I began to have more success with my efforts (see the photos on this page) and since then have been able to teach him about the process of taking a photograph right through to it being printed, finished and finally on display in the home. It's really helped with his speech and self awareness. He'll often walk past one of the canvasses on the wall, point, smile and say his name. So if my story resonates with your family and you too have longed to have some family photography of you all together but have worried about how you could achieve this, I'd love to hear from you. - A personal consultation call before booking where we can chat all about your family. Including everyones personalities, interests as well as any specificities. - A short, pre-session visit to your home, in order to say 'Hi' and meet everyone before the shoot (Where logistically possible). - Sessions at a time and location that works for everyone in the family. - Sessions which have ample time and so there's no problem if they run over the usual hour session length. - A friendly, relaxed and fun approach to the whole process with someone that 'gets it' and is totally understanding of your needs. If all this sounds interesting, I invite you to get in touch using the form below and we can schedule a time to talk some more. You can also find full information of my products and services using the navigation options at the top of the page.